So as the bottling draws near I find myself with the decision ; sails or no sails? 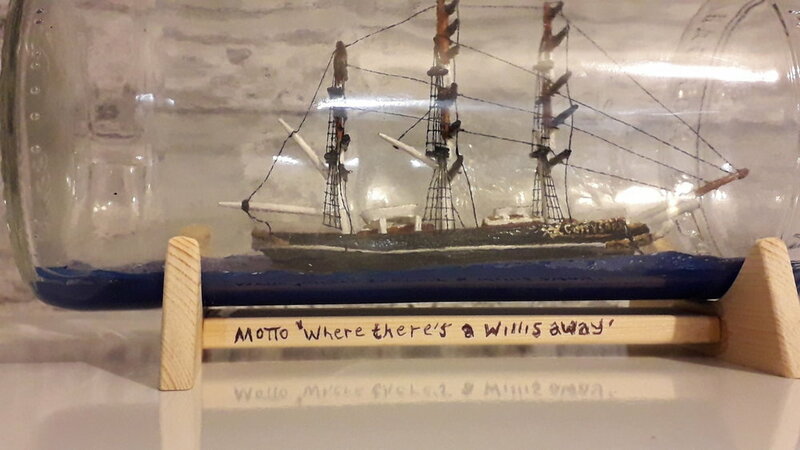 The cutty sark has very little evidence, ie pictures of it with any sails! I really like the look of it moored and only photos I can find are either it moored or being pulled by tugboat. So I wonder what everyone else thinks?? it will look good no matter which way you go. Most SIBs are done with sails. There is something majestic about seeing a tall ship in full sail, especially in a bottle but it is also nice to see something different from the norm. The choice is yours. Agreed - slight bias here towards sails, especially if you put sea in the bottle. Otherwise, looks really nice without sails! Agreed, sails it is! I think it will give it a lease of life. Ive found one photo of it with sails on Wikipedia so I will try to copy it. Thanks for your opinions.? No sails. Looks old. 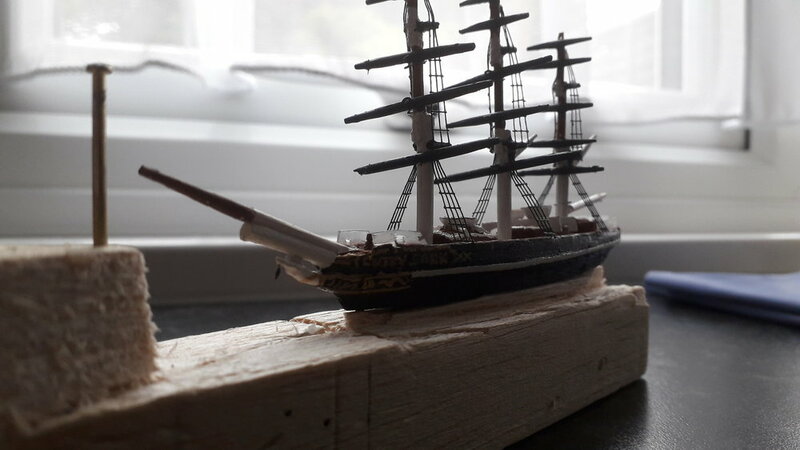 BTW, the Cutty Sark ha s a Spencer on the main mast. Jack Needham always put it on. Changed my mind, No sails! Don’t think my skill set is ready yet, tried and tried but can’t get them to look any good, so maybe the next one with a bit more time and practice ! So it’s going in the bottle and the anchor is getting dropped.? I think either looks great. Do what your most comfortable with. You can always add sails to another ship later. Decided to go drop anchor, quite pleased with it in the end.? Decided to go drop anchor, quite pleased with it in the end﻿.? Thanks for the kind comments, very much appreciated especially coming from such talented craftsmen as yourself. It's inspired me to do more, I think I'm addicted! ?